Speaking in relation to the leaked and flawed Government report about Brexit Nicola Sturgeon has caused outrage across the UK by saying we must stay as much part of the EU as possible if not as a full member. The document has since been debunked by senior economists as nothing but scaremongering but Sturgeon used the opportunity to go on full attack mode against the British people's decision to leave the EU. 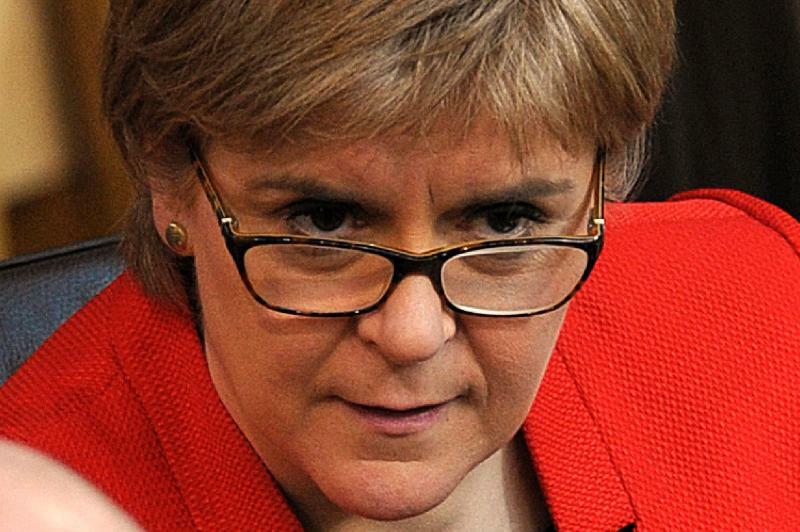 The First Minister of Scotland said the "devastating leak" was a pivotal moment in the Brexit process and said Scotland must have single market and customs union membership. She said: "For months, Theresa May's government have refused to produce any detailed analysis of the potential impact of various Brexit scenarios - now we know why they have so desperately engaged in a cover-up"
Recent polls in Scotland, however, have shown that her popularity is dropping even more and most Scots want to remain part of the UK as it leaves the EU. Do you agree we should leave the EU and Unite the UK? Take action and sign up here now! Read: "Twit: Nick Clegg takes £115,000 from PUBLIC PURSE"
Read: "DISGUSTING- Sadiq Khan slashes money for police to fund GREEN PROJECTS!"